But welcome back. This is pretty much on life support. Still not gone though. Did some tree riding Flat land style Saturday. 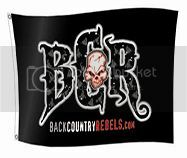 Proud member of the BCR Chit Box Brain Trust!!!! My buddy and I Got some great spring riding in the other day.